Can you believe that it is already Easter time?? 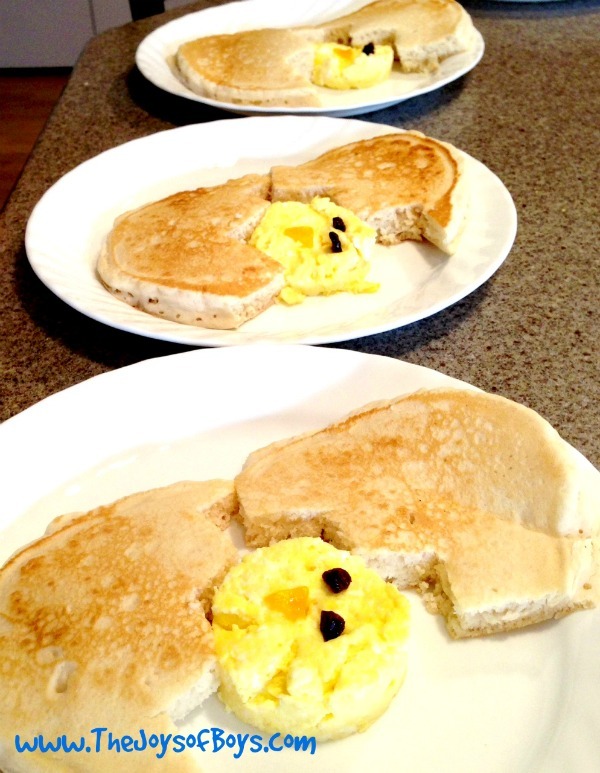 We have a tradition of making up fun and easy holiday breakfasts and last year we made fun Easter Bunny pancakes. 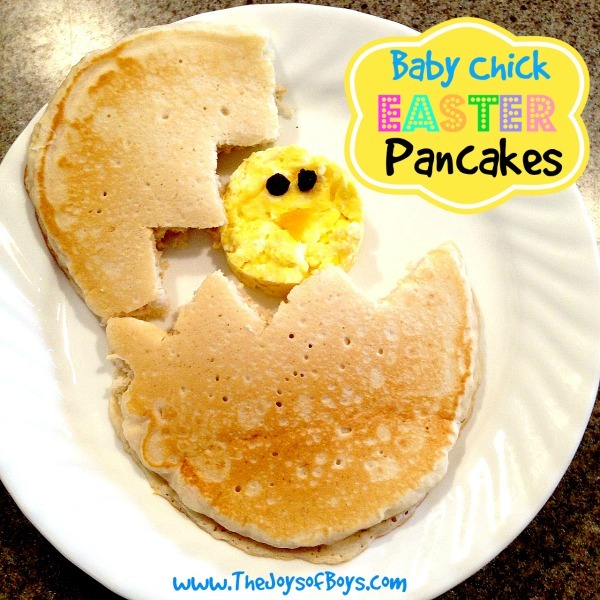 This year I decided to make this Baby Chick Easter Breakfast. 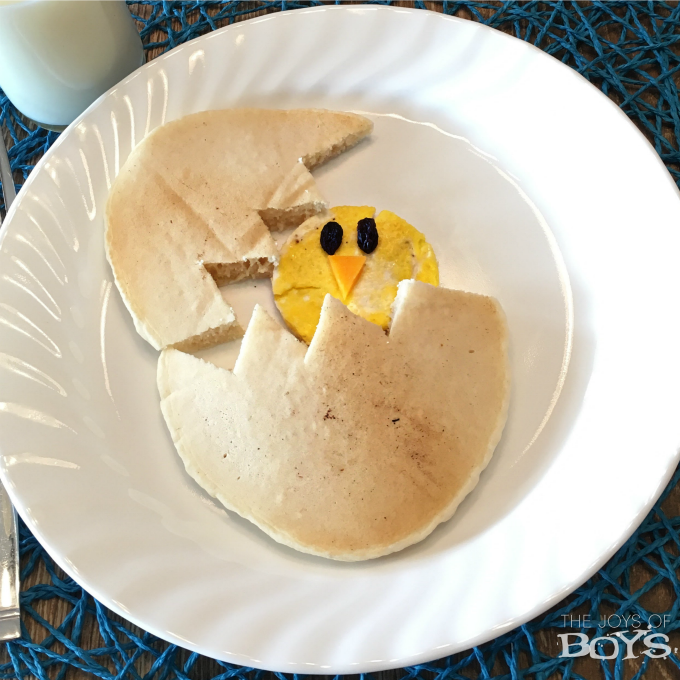 This Baby Chick Easter breakfast was a huge hit with my boys and gets requested every year. 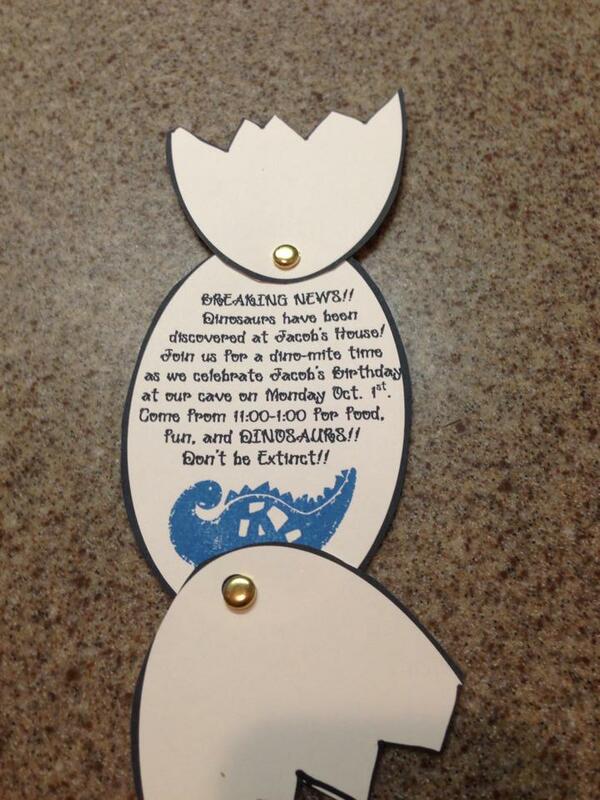 As I was cleaning out one of my drawers I came across this Dinosaur Egg party invitation that we had used for my son’s birthday party 9 years ago and the idea for this breakfast popped into my head. To make these pancakes, all you need to do is mix up your favorite pancake batter and make large oval/egg shaped pancakes. While those are cooking, mix some eggs together with a bit of milk and scramble them in a pan until cooked. Use a sharp knife to cut a zig-zag pattern out of the pancakes and open it up too look as though the egg is cracked. 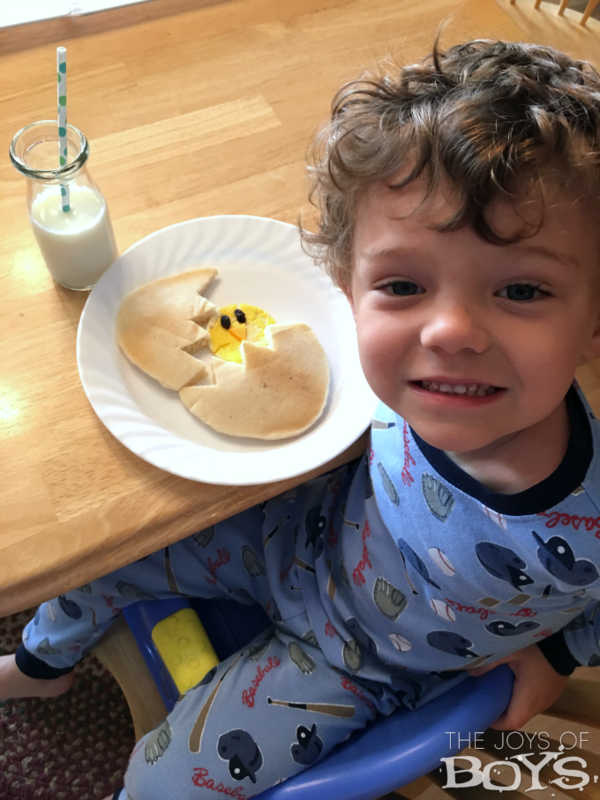 I took a round cookie-cutter and cut out the scrambled eggs to make the chick and added two raisins for the eyes and a triangle piece of cheese for the beak. Then, place the scrambled eggs in the center of the two pancake pieces and you are done. Super easy and was finished in no time. 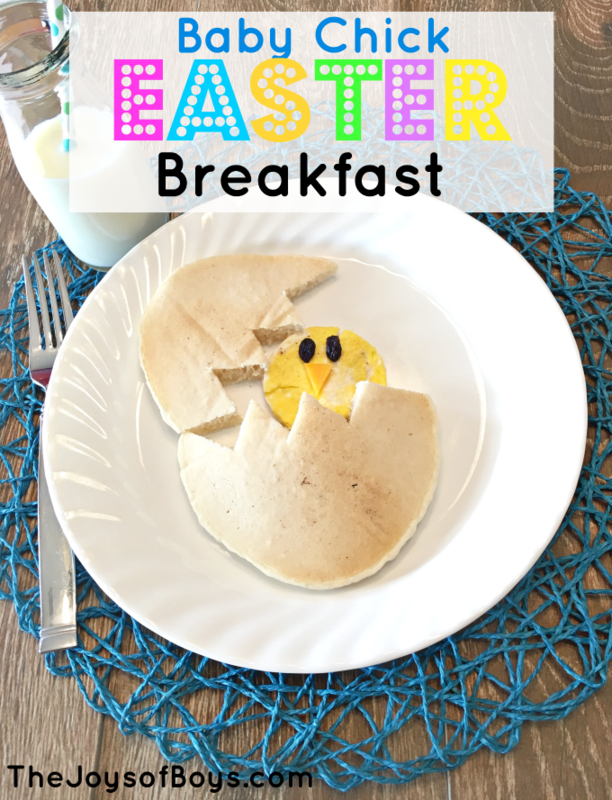 I know sometimes it can be hard to want to do anything extra on a busy morning, but simple things like raisins and pieces of cheese can turn a normal breakfast into something fun for the kiddos. Most mornings we are in a huge rush to get out the door, so the days we do have a slow morning, I try to make a fun breakfast. We’ve been making these for a few years now. Look how cut this little guy was! And of course he’s still cute! And smiles like this make the extra effort so worth it. My older boys pretend that they don’t appreciate the whimsy anymore but my two youngest still get really excited for anything different. 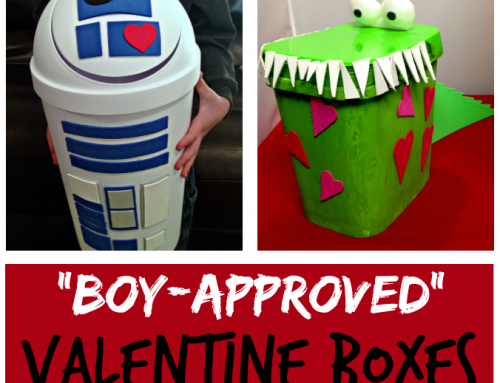 And I have fun making things for them. 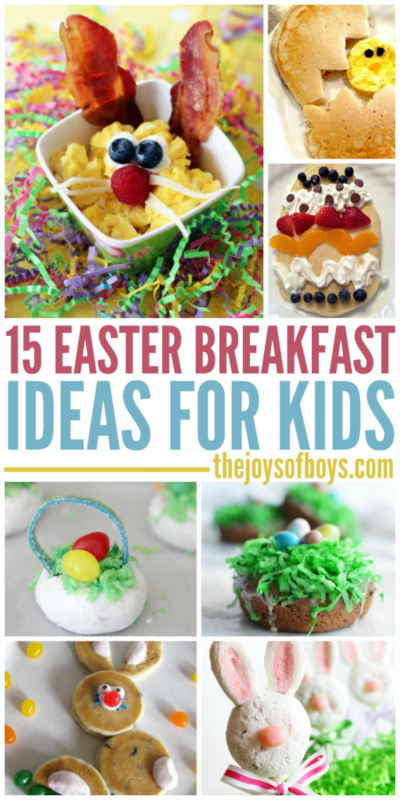 Do you have any fun Easter Breakfast traditions? That is a super cute idea! 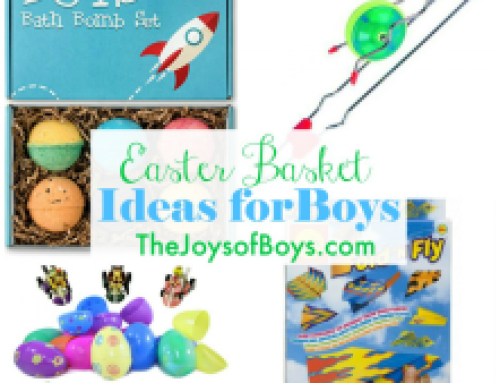 I love collecting Easter ideas that are not just focused on the candy. 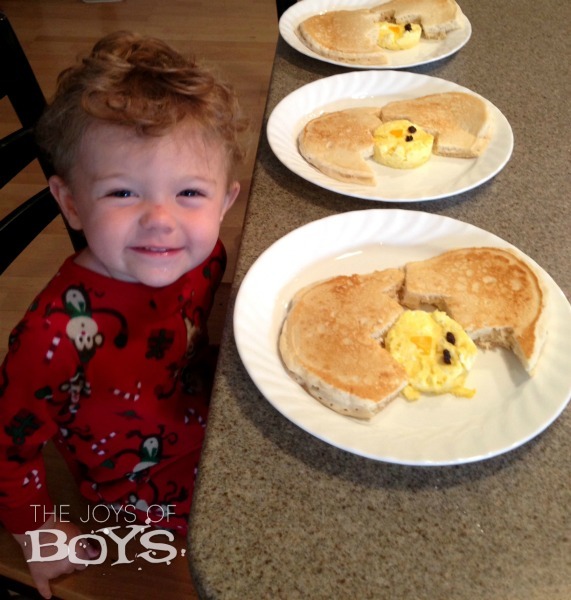 You always make the cutest breakfasts, Kara! 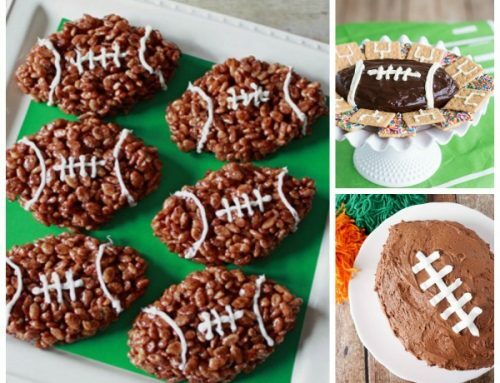 Kinda makes me wish that I cooked so that I could make these too 🙂 Adorable! So fun! My three would love this. Visiting from Creativity Unleashed party. 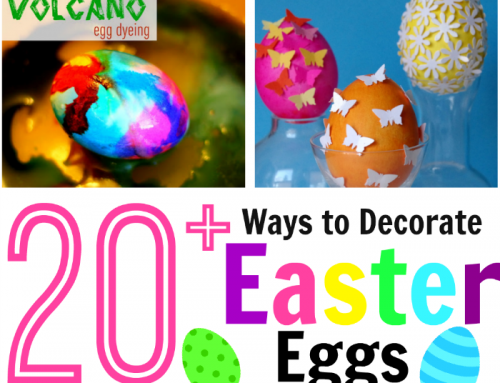 Such a fun idea for Easter morning! Thank you for sharing at Merry Monday!